Leis symbolize hospitality and are given to new arrivals to the Hawaiian Islands, used to decorate graves of war veterans on Memorial Day and for many other events native to Hawaii. Many different plants are used to make leis. The plumeria (Frangipani) is used quite often. It has a waxy flower with five points ranging in colors of white, rose and pink. Plumeria plants can be grown as a container plants indoors anywhere. 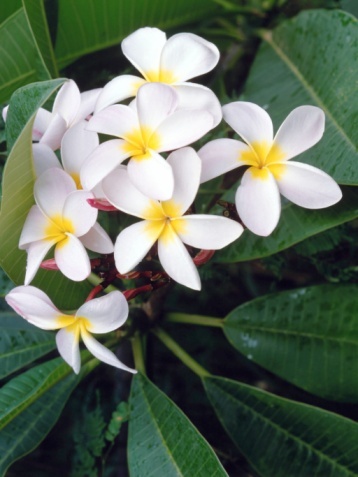 Plumerias are common flowers used to make Hawaiian leis. Place the plumeria container in a location where the plant will receive at least five hours of direct sunlight each day. If the plumeria is not blooming, the plant is not getting enough sunlight. Maintain temperatures between 65 to 80 degrees Fahrenheit. Bring the plant indoors before the temperatures drop below 55 degrees Fahrenheit if the container is outdoors during the summer months. Water the plumeria to keep the soil moist from spring to fall. 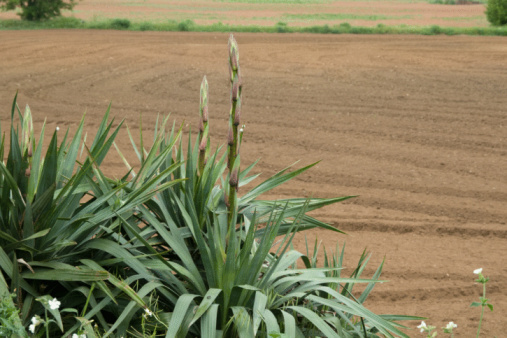 During the winter, the plant will rest and water isn't needed as much. Water the plant when the soil becomes dry only during the winter. If the leaves of the plumeria start to turn yellow, you are watering the plant too much. Raise the humidity around the plant by placing a drainage tray with gravel underneath the container to catch the excess water runoff. If you mist the plant, mist only the leaves and not the flowers. Feed the plumeria every two weeks with a 20-20-20 (nitrogen-phosphate-potassium) fertilizer diluted in half during spring and summer. 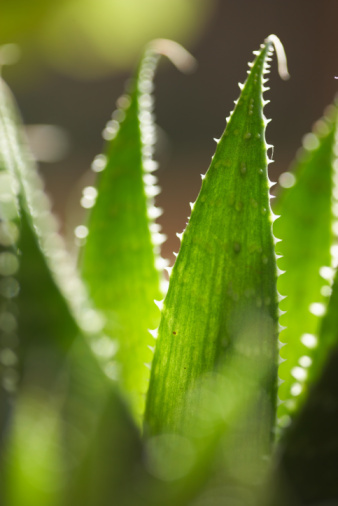 Avoid fertilizing in fall and winter when the plant is getting ready to rest. Remove the top 2 to 3 inches of media in the container. 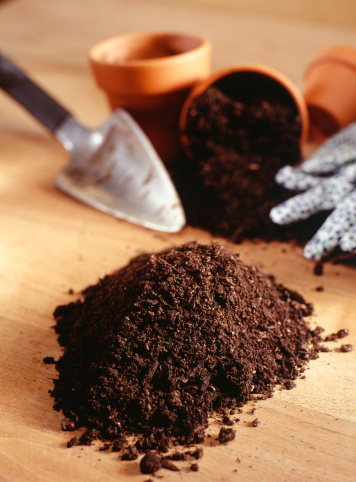 Replace it with fresh media with a peat moss base if the plant is too large to re-pot in a larger container. If the plant is small enough, re-pot the plumeria in a container the next size bigger with a peat moss-based potting media. Re-pot the plant in the spring only.